The magic of Christmas comes to our hearts and makes the best of us to surface. Christmas is even more wonderful when we share moments next to that special someone you love so much. When you spend Christmas with your love, you are living a unique moment that will become a cherished memory for both and even more so if you are celebrating Christmas together for the first time. A. For sure you have already prepared a gift for the love of your life, but it would be a very special if you add a card with to your gift and write in it a beautiful phrase that reflects your love and best wishes for this Christmas. In this section we bring you a list of many romantic Christmas phrases that you can use to put on your card or share them via text message or any social network. 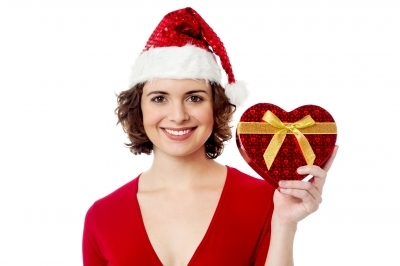 Share these phrases with the love of your life any of these phrases come into your heart and make him or her feel your love and the magic of Christmas. If you liked this page you can help us by giving us a “like” on facebook, G+, twitter. Also if you want you can help this website by sending your originals Sms, text, text messages, quotes, romantic christmas phrases , and will be published, others friends will thank you .